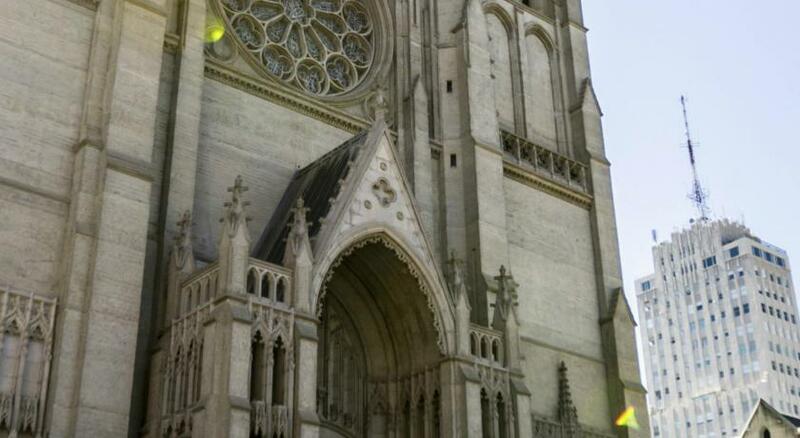 Lock in a great price for Wyndham Canterbury at San Francisco – rated 8.8 by recent guests! It was clean, pretty and in a good location. The staff that checked us in was really nice. The gym was also nice. 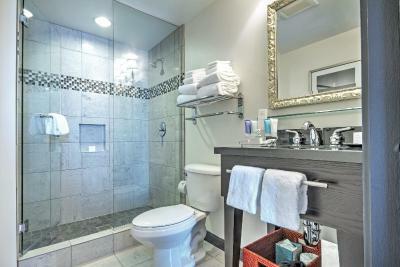 This is a Timeshare property with spacious rooms in the heart of San Francisco. Separate living and dining spaces. Very helpful and accommodating staff. Valet parking on site which is a blessing although for a charge. Great location great unit, great amenities and super staff. I like the interior of the room, location though there were homeless people in every block of SF every night. It was very clean and staff were courteous. Perfect location, amazing staff at all times! No matter what time of the day it is, you are always greeted with great energy. Rooms are spacious and the kitchen is useful. Absolutely recommended!! Spacious 1bdr, well appointed. No daily housekeeping was not an issue, plenty of towels and supplies, and staff very friendly and happy to replenish. Good location, with lots of room. Two flat screen TV's. Great Location. Great staff especially Jasmine. Found us good deals for our interest and even loaded our Google maps. 1st time visit to SF as a birthday gift. The Canterbury was the candles to my cake. Thank You! Wyndham Canterbury at San Francisco This rating is a reflection of how the property compares to the industry standard when it comes to price, facilities and services available. It's based on a self-evaluation by the property. Use this rating to help choose your stay! 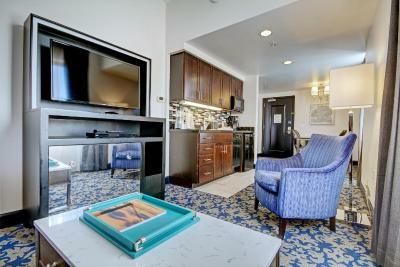 A living room with a sofa bed and cable TV is furnished in all suites at Wyndham Canterbury at San Francisco. 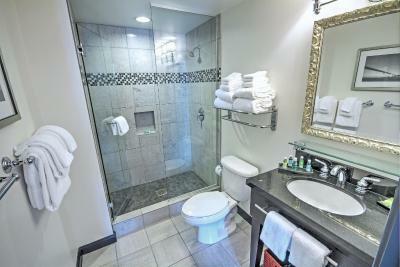 The modern rooms feature bright color accents and include a large bathroom with bathtub amenities. The San Francisco Wyndham Canterbury has a game room with billiards for guest use. Meeting rooms are also available on site. Alcatraz Cruises and the Aquarium of the Bay are each less than 3 miles from this hotel. Golden Gate Bridge is about 4 miles away. 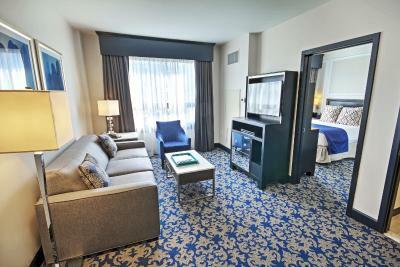 When would you like to stay at Wyndham Canterbury at San Francisco? 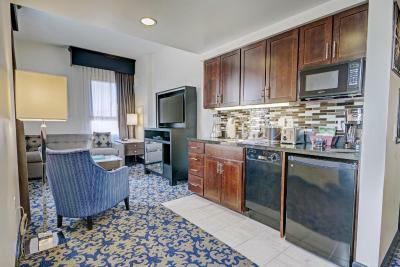 Offering free WiFi, this spacious suite features a kitchenette that includes a dining table, dishware, an under-the-counter refrigerator, dishwasher, sink and a microwave. 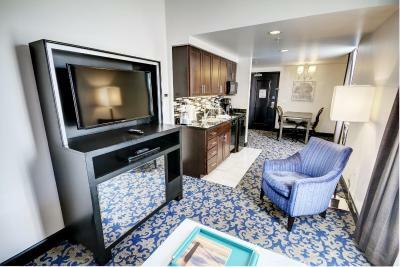 It offers a cable TV and ironing facilities. Private parking is available on site (reservation is not needed) and costs USD 37 per day. A kitchenette and a dining area are available in this suite. A sitting area with cable TV and a sofa bed is also included. 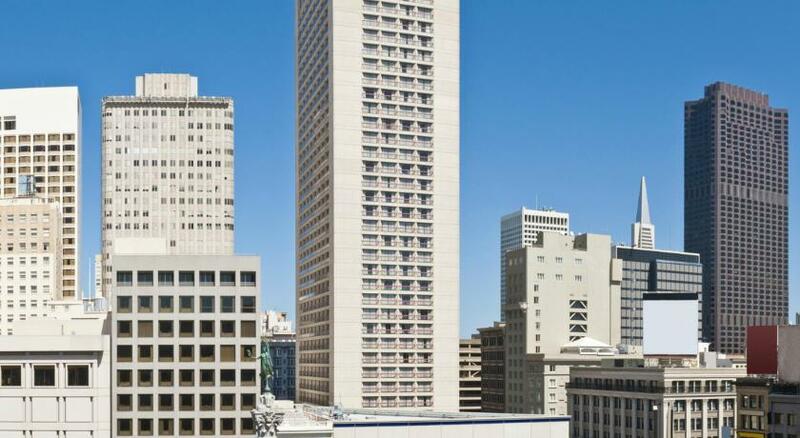 Discover a sophisticated retreat in the heart of downtown San Francisco. 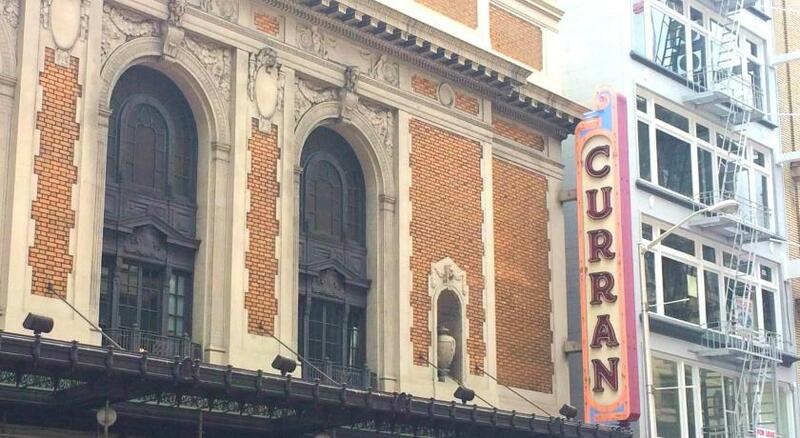 The Wyndham Canterbury at San Francisco is an ideal resort destination located steps from Union Square. 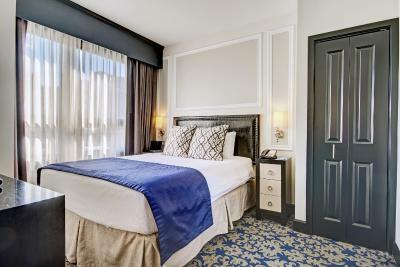 Formerly the site of the Canterbury Hotel & Whitehall, this San Francisco vacation resort has been lovingly renovated, and offers an inviting ambiance that celebrates classic San Francisco charm. Guests are invited to explore famed San Francisco attractions and sites, while enjoying spacious accommodations and modern amenities. 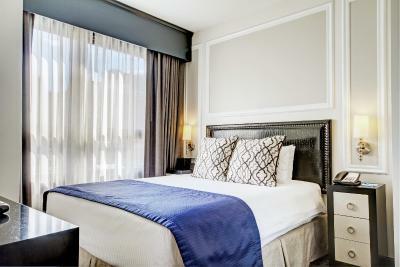 House Rules Wyndham Canterbury at San Francisco takes special requests – add in the next step! ATM card Wyndham Canterbury at San Francisco accepts these cards and reserves the right to temporarily hold an amount prior to arrival. Wyndham Canterbury at San Francisco accepts these cards and reserves the right to temporarily hold an amount prior to arrival. Daily housekeeping is available for an additional fee. Renovation work will be performed outside this property on 16 August and 17 August between the hours of 22:00 and 05:00. Guests may experience additional noise during this time. The concierge's hard sale for time shares. Room was very big with a kitchen and seating area. Very clean. Even the pull out end in the living room was comfortable. The location was great. Within walking distance to most things. This is a timeshare which I wasnt aware of when I booked. The concierge talked us into attending a presentation for the timeshare and said it would take 1.5 hours and we'd get breakfast, food vouchers and gift cards. They immediately asked for my ssn when I got there which I didn't feel comfortable with and then they asked me what my problem was with it, refusing to take no for an answer so I walked out. My friends were kept there for 3.5 hours after saying no several times.. we still got the gift cards so I guess it was worth it. Very rapey people. We requested a late check out for 11 am which the front desk guy wasnt aware of for some reason. He called the room at 1030 insisting we leave immediately in a terribly rude manner then sent some guy up who was coming into our room without waiting to be let in to kick us out. We had just taken showers and some of us werent quite dressed. So aggressive and kinda scary. 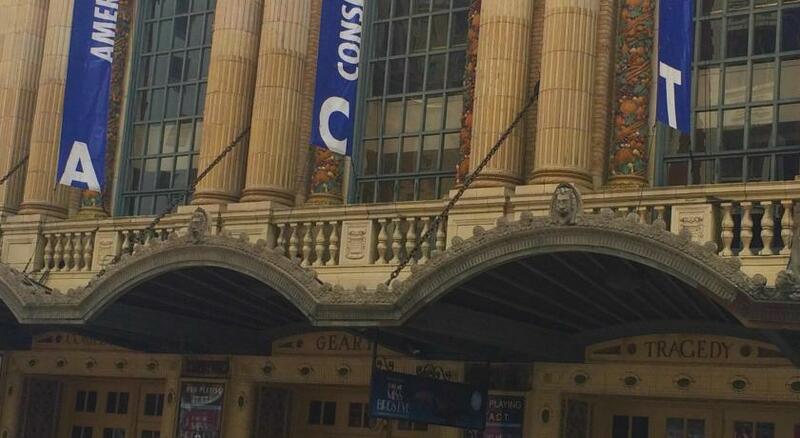 Also the concierge was talking about the homeless population there insensitively. I found it unprofessional but she was just trying to give us warning that the tenderloin part of town was seedy. Otherwise she was very helpful and nice to us. No restaurant on site and no kettle in room. Staff were very friendly and helpful. 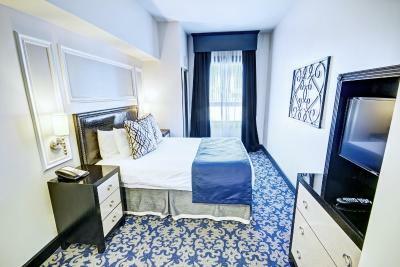 The rooms are a great size and the bed is very comfortable. Good location for visiting the non tourist areas. I made my reservation for 4 nights. On the day of my last night, the staff called to say that I needed to change rooms and if I didn’t return to the hotel (I was 5 miles away) by noon, I would be charged $100 per hour after 12. I had to argue with the manager that I shouldn’t need to return to the hotel to change rooms during my stay and how inappropriate it was that I would be asked to pay a fee if I did not. He agreed. Then at check out the staff could not provide me with a copy of my bill. Good on all fronts but it's a timeshare and they really pressure you to attend a breakfast to sign up for the timeshare. Just don't go. No hotplate in the Kitchen area or Housekeeping till the entire period of our stay. No F & B on the property though a lot of restaurants in the neighborhood. No stove or hot plate in kitchenette. Not bright enough in room when all the lights were on. Can hear noise from the street even past midnight. Provision of amenities in the room are well thought of. The price for parking was different than on the website and staff on the front desk provided me wrong information about the rules of parking so I needed to call manager. Btw, he solved an issue immediately.